Heinz has cooked up a new recipe for its iconic ketchup. The Pittsburgh-based condiment maker has started making batches of ketchup using a recipe with less salt. The new version will hit store shelves this summer. Company officials say the 15 percent cut in sodium is the first significant change of formula in nearly 40 years. 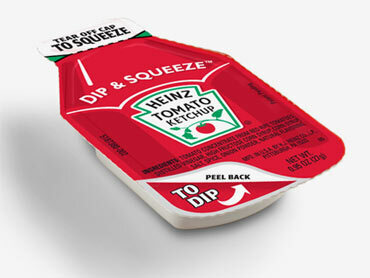 But fear not, ketchup connoisseurs. The new recipe has been thoroughly taste tested. Company spokeswoman Jessica Jackson says tests were conducted in Pittsburgh and other cities across the country. Jackson says there won't be a splashy graphic on the labels to announce the new recipe. Consumers will have to check the nutrition panel instead.